Pussers Gunpowder Proof Black Label Rum is a popular Rum available from DrinkSupermarket.com in 70cl to buy online. 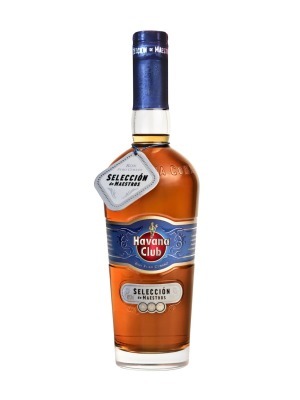 Visit DrinkSupermarket.com for the best price for 70cl of Pussers Gunpowder Proof Black Label Rum or compare prices on our other Rum products. Pusser's Gunpowder proof was previously known as Blue Label Overproof. The same rum is a blend of 5 stills hand selected for a smooth and mellow taste. Lots of sweetness and fruits, with a long finish. Rich vanilla nose with a slight toffee that lightens off with a hint of sweetness. A heavy burn on the palate to begin with but a mellow warmth develops with a sweet vanilla flavour. Complex flavours yet surprisingly smooth the rum - timeless classic of strength and boldness at the Original Admiralty strength. Where to buy Pussers Gunpowder Proof Black Label Rum ? Pussers Gunpowder Proof Black Label Rum Supermarkets & Stockists. 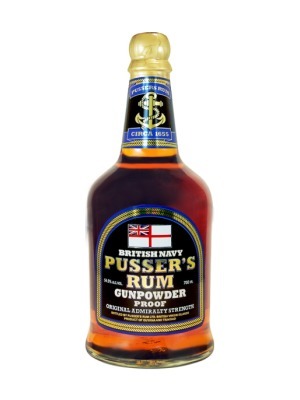 You can buy Pussers Gunpowder Proof Black Label Rum online in most retailers and find it in the Rum aisle in supermarkets but we found the best deals online for Pussers Gunpowder Proof Black Label Rum in DrinkSupermarket.com, TheDrinkShop, and others. Compare the current price of Pussers Gunpowder Proof Black Label Rum in 70cl size in the table of offers below. Simply click on the button to order Pussers Gunpowder Proof Black Label Rum online now.